Rafale deal: In the letter to Rahul Gandhi, Anil Ambani said that the 36 Rafale fighter jets will be manufactured in France solely and later will be exported to India. He further refuted the allegations of 'lack of experience' and termed it as irrelevant. Ending his long-kept shush over the Rafale deal, Reliance Defence Limited, boss, Anil Ambani penned a letter to Congress president Rahul Gandhi and expressed his anguish over his continuous personal attacks. Criticising the way Rahul Gandhi had been unleashing attacks on him, Anil Ambani said that all the allegations levelled against him and his company are baseless. He further added that the Congress president was ill-informed over the Rafale Deal case. Anil Ambani said that the latter’s remark of questioning the experience is unfortunate and irrelevant. In a point-to-point counter letter, Anil Ambani further stated that the Rafale jets that will be powering India in the air are not being manufactured by Reliance or Dassault Reliance Joint venture. In the letter to Rahul Gandhi, Anil Ambani said that the 36 Rafale fighter jets will be manufactured in France solely and later will be exported to India. With an attempt to escape the Rafale Jet controversy, Anil Ambani clearly stated that Reliance is not manufacturing even a single component for these 36 Rafale jets. He further refuted the allegations of ‘lack of experience’ and termed it as irrelevant. 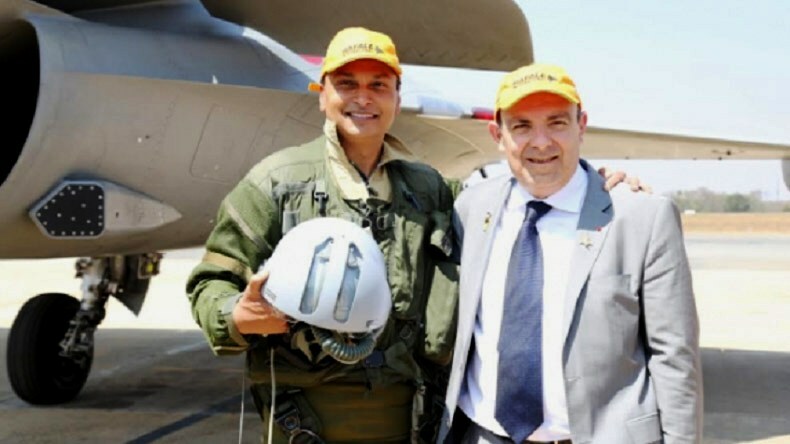 Anil Ambani adds that they had no contract with the Ministry of Defence (MoD) relating to 36 Rafale aircraft. Commenting on the allegation of Reliance making thousands of crores, Anil Ambani said that it is a figment of ‘imagination’ and is promoted by vested interests. Ending the speculations, he added that there is no contract between Reliance and the Government of India. Talking about Reliance Defence Ltd. being incorporated a few days after the NDA had struck the Rafale deal, Anil Ambani said that their decision of entering defence sector was announced in December 2014-January 2015, way before the government had expressed their intention of buying Rafale aircraft. Anil Ambani added that the Indian Stock Exchange (ISE) was informed about the development in February 2015.